This has been a big week here in Finland. 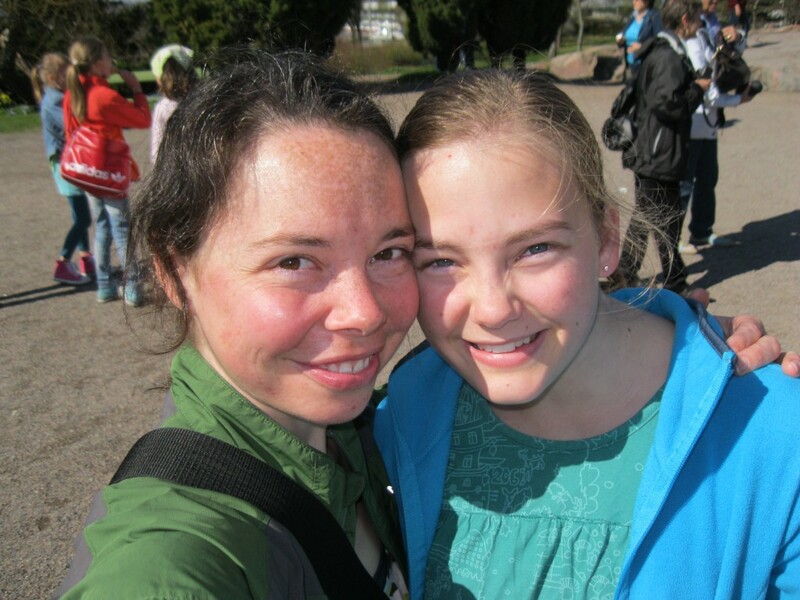 I went to Helsinki for a Fulbright event early last week, and picked up my little sister Abigail who’s here for a 3-week visit. 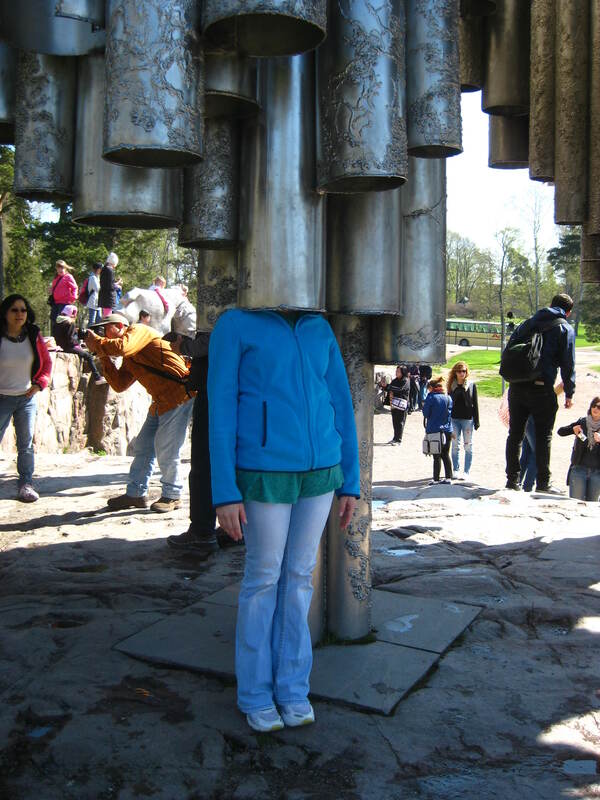 I took Abby on a crazy 1-day whirlwind tour of Helsinki before dragging her up into the ridiculously secluded far north of Lapland. 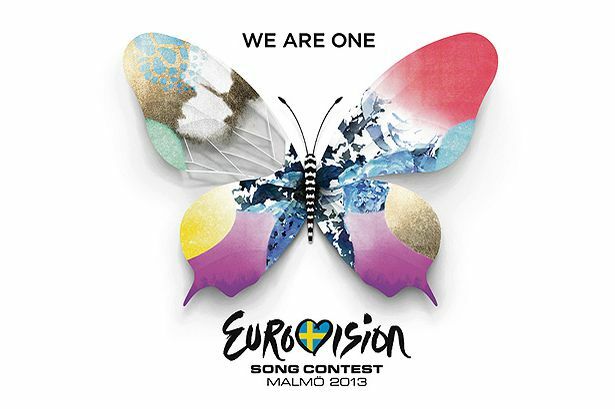 The cherry on top of this week has been Eurovision 2013, the European song contest. 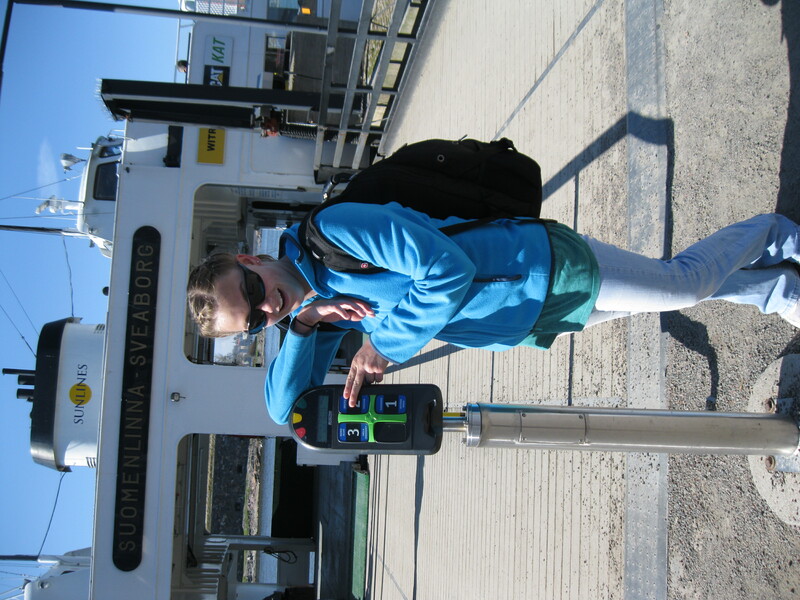 But first things first: Abigail’s grand tour of Helsinki. We started off our day walking around the city, and eventually made it out to the Sibelius Monument. 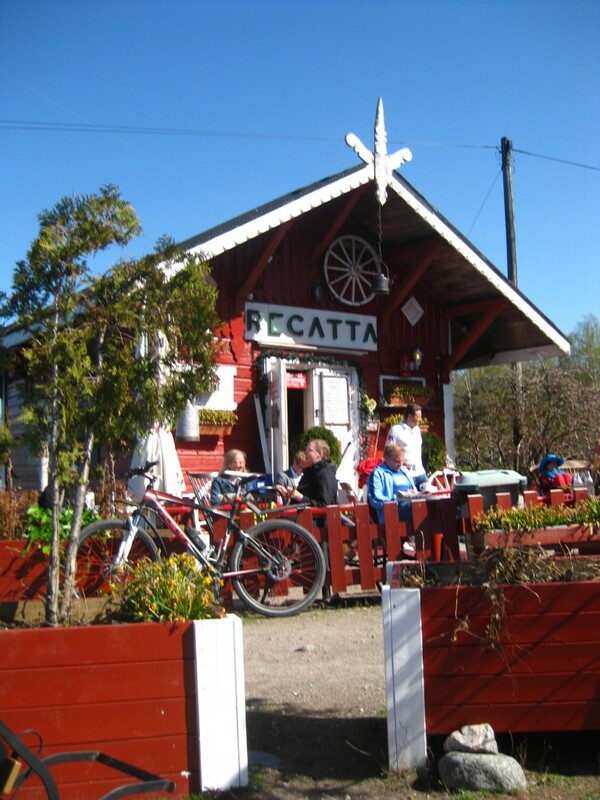 We also hit up the nearby Regatta coffee spot I’ve been meaning to try, home to a floating linguistic gem. 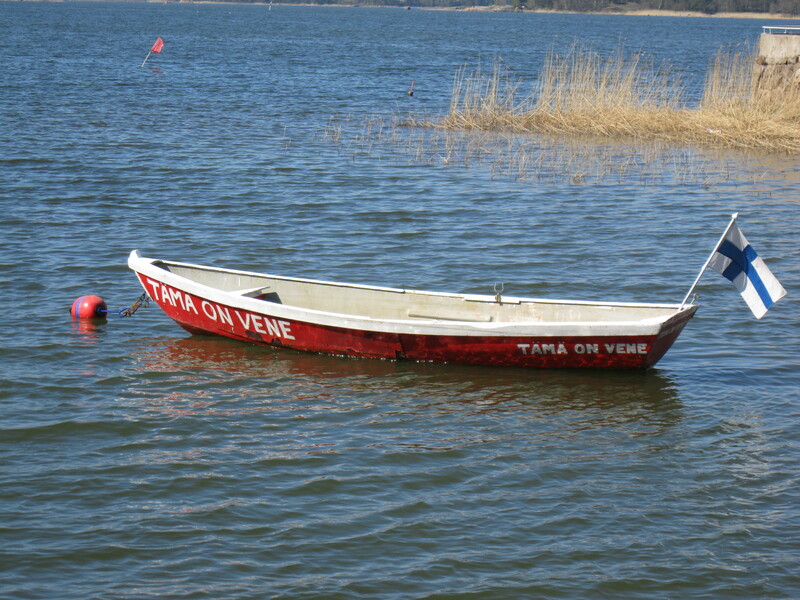 “tämä on vene” = this is a boat. 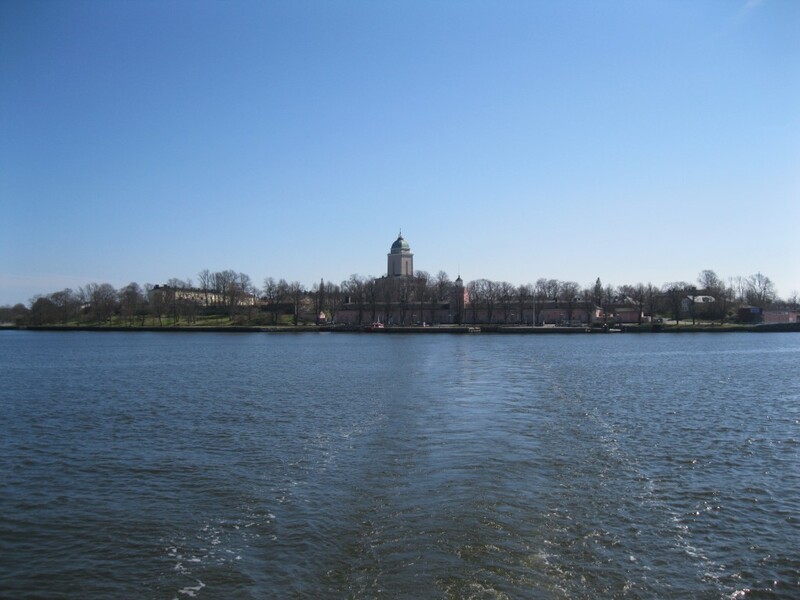 After walking back to the main marketplace and picking up picnic supplies, we boarded a ferry to Suomenlinna, Helsinki’s decommissioned island fortress. 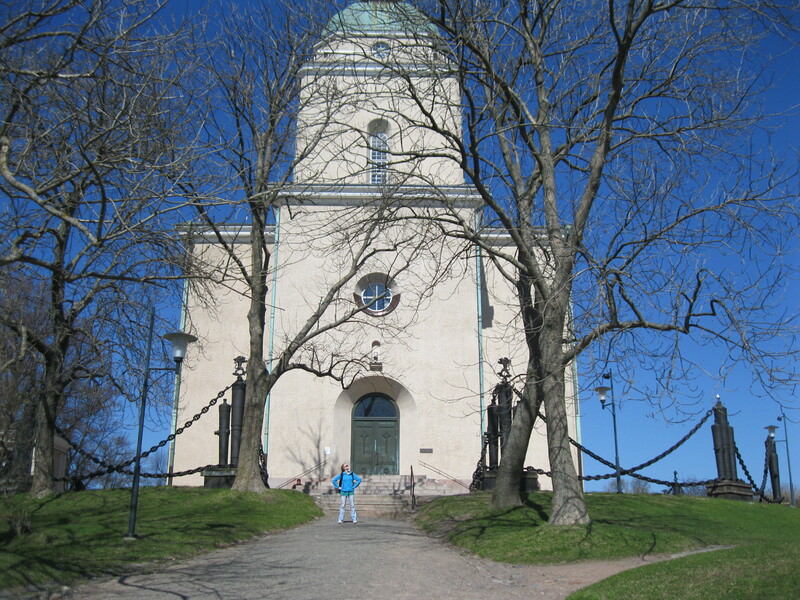 Suomenlinna is a Helsinki must-do, particularly during picnic season, as it’s only a 15-minute ferry ride. Suomenlinna is a series of 5 small islands all connected via footbridges, so it’s easy to ramble about. 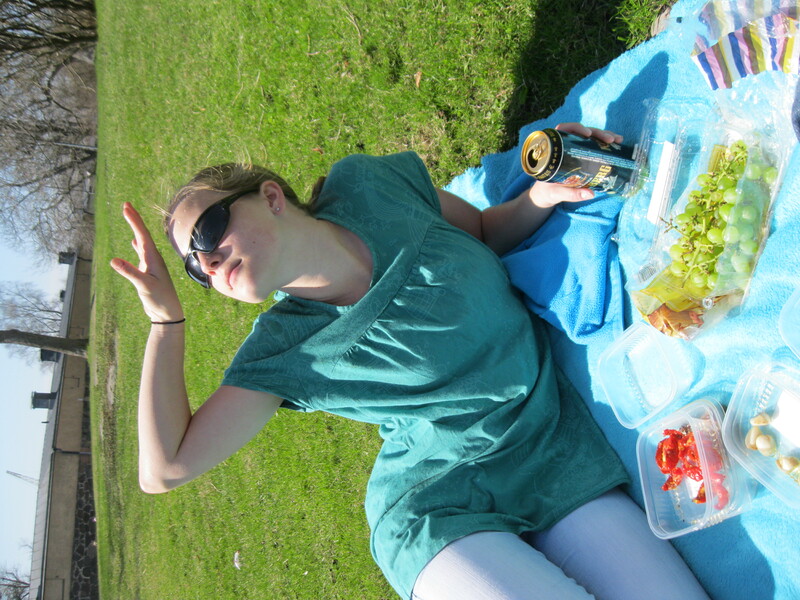 The picnic was awesome, aside from the fact that my poor Finland-accustomed skin had a serious aversion to that much sunshine, and I immediately burned to a crisp. 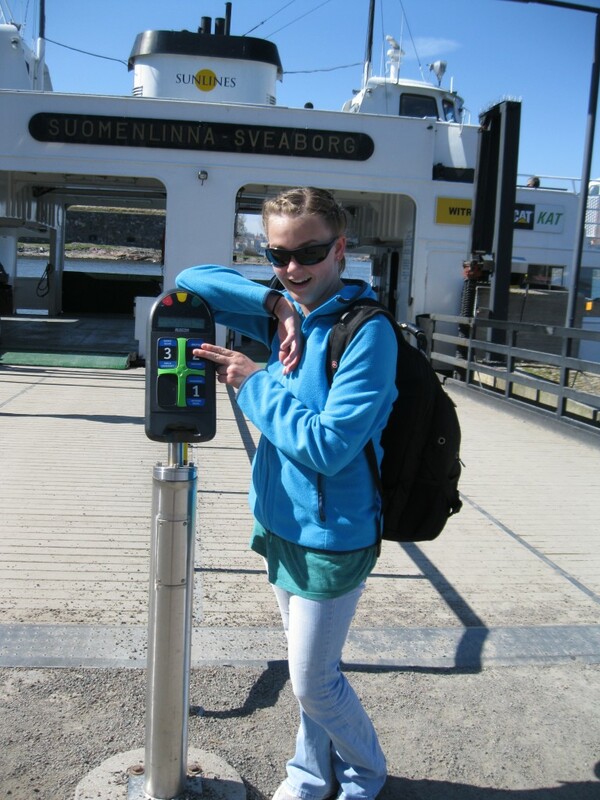 After another tussle with the ferry payment machine (I actually hurt myself getting that ‘2’ to fully depress and take my money), we headed back onto the mainland. 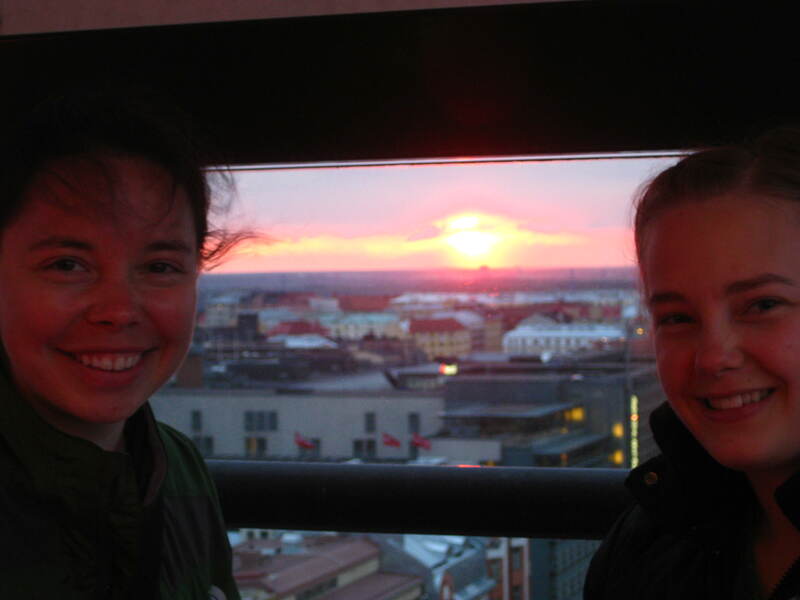 After dinner with a Fulbright friend, we went to the Tower Hotel in downtown Helsinki, where you can pretty much see all of the city from the bar on the top floor. This beautiful 10pm sunset was a great end to a very busy, very tiring day in the city. Eurovision is a week-long annual song contest held here in Europe, with around 40 countries participating each year. Participation constitutes the nomination of a single song/performer, each of which makes a music video, and then performs live at the actual contest. The contest is hosted by the previous year’s winner – so this year’s contest was in Malmö, Sweden because Sweden was the winner in 2012. I was super excited about Eurovision, partly because I’m a true fan of pop music, and partly because this is probably the one and only time that I’ll be a European resident, so I have a legitimate stake. Finland’s nomination was ‘Marry Me’, written and performed by Krista Siegfrids. The song has been playing on the radio here in Finland for months now, but I had no idea that it was our Eurovision song until a few weeks ago, partly because it sounds so American, I kinda figured it was! It’s really catchy, and peppy, and I thought we had a real chance. Some history: the Eurovision contest started in 1956 with 10 countries, and has progressively expanded to include more and more of Europe and the Middle East over time. Here in Finland, our participation in Eurovision is actually a joke, said along the lines of ‘when pigs fly’, except it’s ‘when Finland wins Eurovision’. Finland has only ever won once, in 2006 with Lordi’s ‘Hard Rock Hallelujah‘. Finns are still confused. There were multiple televised events surrounding Eurovision, including multiple days of screenings and commentary of the music video submissions by panels of Finnish celebrities. This week was the actual contest, with 2 days of semi-finals and a single day of finals. The semi-finals were live performances by each country on the Malmö stage – 16 on one night, the remaining 17 on the other night. 6 countries always have automatic passes to the final: UK, France, Spain, Italy, Germany and last year’s winner (Sweden). 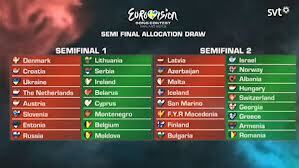 For each of the semi-finals, only 10 countries were allowed to move on to the final. The final round had 26 live performances, and the winner and runner-up are chosen in a system not unlike the electoral college. Each participating country has 58 points to award to 10 contestants, meaning that they award point values of 1, 2, 3, 4, 5, 6, 7, 8, 10, and 12. Each country’s point rankings are 50% determined by phone/text audience votes and 50% by that country’s formal judges’ votes. Abigail and I watched the second Semi-Final and the Finals. Finland was great, not that you could tell by our underwhelming vote tally. Boo Hiss! Abby and I also had a few other songs that we are particularly fond of. The following song titles are hyperlinks to videos of our 4 favorite performances: Marry Me (Finland), Kedvesem, Zoohacker Remix (Hungary), You (Sweden), and the landslide winning song was by 20-year old Emmelie de Forest with Only Teardrops (Denmark). 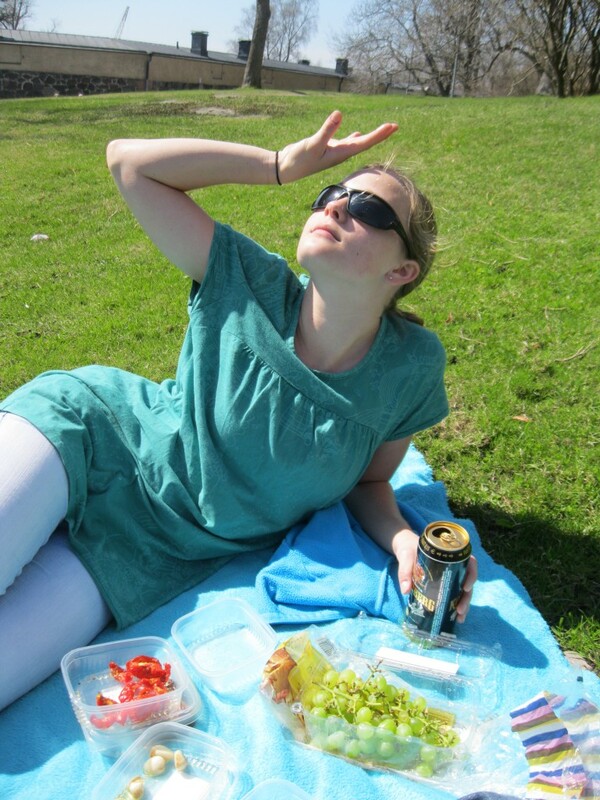 This entry was posted in Musings, Travels by Kim. Bookmark the permalink. I’m totally jealous! Looks like you’ve had beautiful weather, and are having fun :) Miss you guys… Also, Kim I just realized I have missed the window to get my present to you by your birthday. :( It is in my thoughts… round numbers are exciting. Although they had been together since 1970, Abba skyrocketed after winning the Eurovision Song Contest for Sweden in 1974. Instead of being yet another Eurovision “one hit wonder,” Abba sold over 320Million records to date. They won the competition in the largest landslide ever in the history of the competition.